Driving on the highway has become more and more relaxing due to technological improvements in automated driving. Featured mostly in the luxury segment, drive assisting systems allow the car to hold the lane on its own, slow down when coming close to a vehicle ahead or other object ahead and generally even avoid collision. Things are starkly different when driving on crowded city roads though. Fuel consumption rises, you constantly need to accelerate and brake in traffic, you must be mindful of pedestrians, and so much more. Fortunately, there are several vehicles which integrate perfectly within the sometimes agitated and tense city streets. Here are the top 5 cars to choose as a daily city driver. Despite the recent large-scale controversy with Volkswagen diesel cars, VW Golf models have a lot to offer with their more spacious interior than the previous versions. One of the eye-catching features promised by the German automaker is a drop in fuel consumption by up to 15% with the 2015 models and forward. 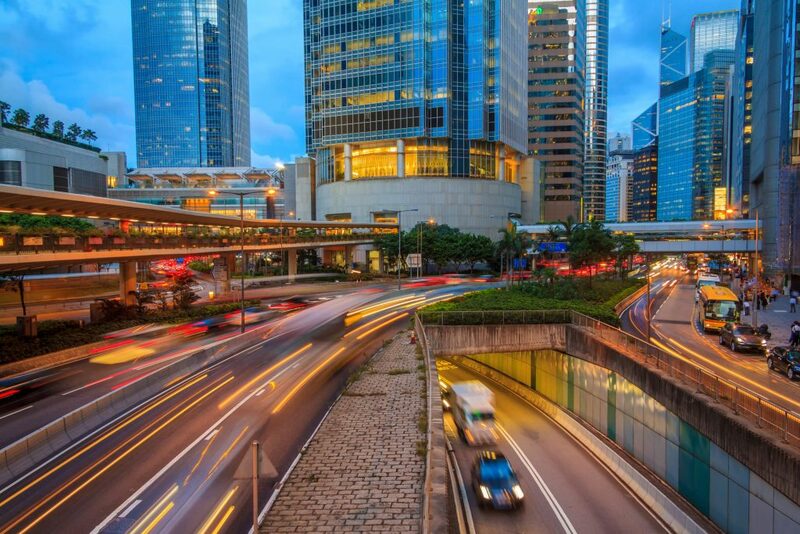 Increased fuel efficiency is a big bonus for frequent city drivers. Volkswagen added premium-like features for the Golf as compared to previous models like increased shoulder and elbow room and more leg space for the rear occupants which many city dwellers might appreciate given the sometimes-cramped work and living situations some are accustomed to in the populous cities., touch screen center display. Volkswagen’s post-collision braking system, which acts on the brakes upon an impending impact, can be a lifesaver when navigating through bustling streets. 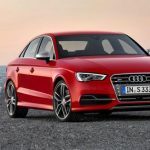 The Audi A3 is noteworthy under most circumstances; city driving, luxury class, you name it. It features 3 engine units, a 1.8 liter and 2.0 liter intercooled and turbocharged 4-cyinder engines and a 2.0 liter turbocharged diesel version. Translation: fuel efficiency options particularly with the diesel if you don’t have a heavy foot. Each engine can be attached to a FWD or AWD system, depending on the equipment level chosen. The 2015 rendition of Audi A3 offers 23 mpg within city roads and a 4 year or 50,000 miles warranty. A great way to keep your car in good working order with all the abuse you might put it through in the city. Post-collision braking, traction control, front, head, and rear-side airbags are available on different equipment levels. Can’t go wrong with additional safety whether city or highway driving. Driving in the big city likely means you will be driving around for a parking space. Even when available, parking a 17ft Audi A8 sideways may not be the easiest job in the world, no matter how many assistive systems the car may feature. However, when driving a bug, parking gets easier. Measuring only 8ft and 10 inches, Smart Fortwo is able to squeeze inside tiny parking lots without much of a sweat. Model options include a 3-cylinder 1.0 liter engine offering 70hp top speeds. 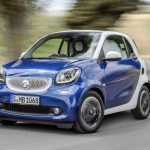 Connected to a 5-speed manual transmission, Smart Fortwo comes with a 34 MPG fuel rating in city driving conditions and 38MPG on highway. The small size doesn’t only help when parking but also allows the driver to squeeze around in mid-day traffic. Fortwo comes with basic driver assistance and comfort systems such as power steering, climate control and a foldable passenger seat. While being one of the best choices in terms of city driving, Smart Fortwo doesn’t quite perform on the highway. Given it’s rather rectangular shape, stability is somewhat compromised at over 60 mph; it takes a painful 14.1 seconds for the car to reach that speed, also topping at 90 mph with some of the models. 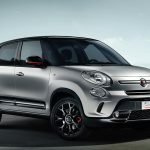 While it may not feature the same Italian world famous style featured on Ferrari supercars, Fiat 500L comes with the needed space for North American drivers. While small cars are a way of life in Europe’s short, narrow roads, Fiat needed to push size upwards for a larger sized member of the 500 family, and this is how 500L was born. All trims feature front wheel drive pushed by a turbocharged 1.4 liter engine which is capable of developing 160hp and 180 lb-ft of torque. Connected to the 6 speed manual gearbox, the car reaches a 28mpg rating while the automated manual gearbox suffers a 1mpg loss, according to EPA. However, real life tests revealed that Fiat 500L can score as high as 31mpg which is way above the segment average. Acceleration from 0 to 60mph is done in 9.3 seconds, a competitive number yet not out of the ordinary. Tire pressure monitoring system, anti-lock brakes, full length side curtain airbags, rearview camera and a below average stopping distance are all adding up to reasons why Fiat 500L performs well in heavy city traffic. Being one of the most non-BMW cars the German automaker has produced, BMW i3 looks and feels short from bumper to bumper. However, it features a roomy interior with more than enough head space. Construction features lightweight aluminum and carbon fiber, making this electric vehicle drop below the 3200 lb mark. 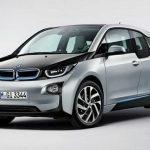 The electric engine that comes with BMW i3 is able to push the car forward with 170hp. Beneath the awkward design rests a 1-speed gearbox. Thanks to this, torque is delivered over a broad RPM range. The i3 travels from 0 to 60mph in about 7.5 seconds and tops out at 92 mph. Not really a highway speed but it isn’t even recommended to take it out for extended journeys due to its limited range. Buyers can opt for a 667cc DOHC 8V engine to act as a range extender; it is able to provide 34hp from its two cylinders. One of the strong points of the i3 is its aggressive regenerative braking system. With a bit of skill, you can travel throughout the city and use only the right pedal. That’s how well regenerative brakes are enforced. Stop lights are automatically enforced when stopping power generated by the recovery system exceeds 0.13G. Featuring an eager steering and occupying not too much space inside the urban environment, BMW i3 may just be the best electric powered Series 3 for suffocating big city roads.